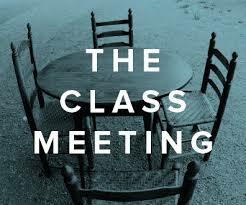 The Pastors along with our lay leadership want to encourage all to participate in reading and discussing “The Class Meeting” for 8 weeks starting September 10, 2017. We will have group discussions on Sunday mornings from 9:45 am to 10:45 am and then also at other times of the week for those that time does not work. Sign up on information sheet, at Rally Day in Fellowship Hall or in church office. Books will be available to purchase for $13 in the Narthex or the church office starting the week of September 3. « Sunday School Sign up for Fall 2017 has begun!